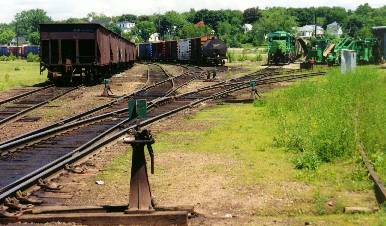 NB Southern maintains a yard in the old railway town of McAdam. It is home to a very impressive ex-Canadian Pacific station. The yard has lost much of its former glory but continues to be a crew change point and an interchange for the St. Stephen subdivision. A view of the McAdam yard from stationside. Note the MOW equipment on the right, where the wye goes. NBSR 9801 and NBSR 9802 are in the distance to the right as well. 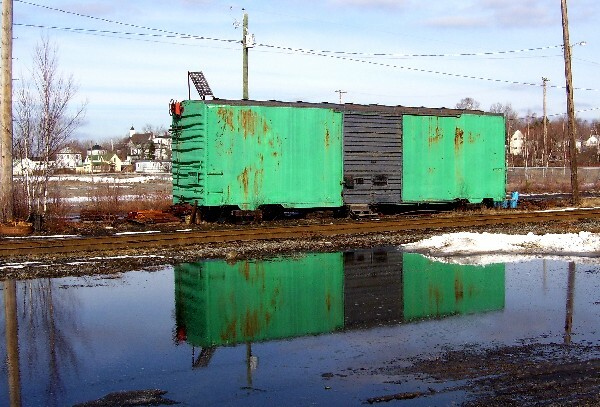 A boxcar at McAdam used for storage.